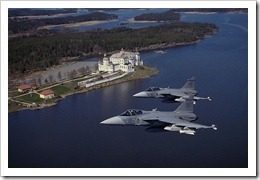 Saab, the Swedish company producing aircrafts, has manufactured a fighter aircraft serving multiples purposes. The model is called JAS 39 Gripen and has only one lightweight engine. The processes to market, sell and support the Gripen fighter are realized by the Gripen International organization. The JAS 39 Gripen fighter is used by the Swedish Air Force, the Hungarian and the Czech Air Forces, but also by the Air Force of South Africa. The Royal Air Force of Thailand has also ordered Gripen aircrafts and the total number of such fighters being used around the world in 2011 was 163. The Gripen air fighter is an effective, flexible combat aircraft designed for performance and survivability. The JAS 39 Gripen is suited for different types of missions: Air to Air (Jakt), Air to Surface (Attack) and Reconnaissance (Spanning). This is what JAS stands for. The Gripen component of the name was designated following a public competition back in 1982. It was inspired by the Saab logo which contains a griffin, symbol for the qualities presented by the aircraft. It is the same symbol present on the Östergötland coat of arms. Östergötland is the province where Saab AB has its headquarters. A special feature of the Gripen is that it can land on and take off public roads. It is a feature present in the Swedish war defense strategy. The NG version of the Gripen gets its name from Next Generation. This version of the Swedish fighter jet has a new engine installed, called F414G, as well as an increased payload capacity, improved fuel capacity and improved avionics. 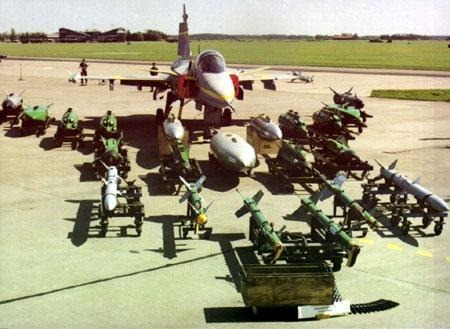 This The JAS 39 Gripen NG was the version that was offered to India, as part of the MRCA competition, which was eventually won by the Dassault Rafale. By the end of the decade, 70 existing JAS 39’s will be upgraded to the NG standard by the Swedish Air Force. This fighter jet normally has a crew of 1, with training versions having place in the cockpit for 2 people. The total payload which can be taken onboard is 5300kg. The JAS 39 has a length of 14.1m in its normal version, and 14.8m for the version with two seats. The airplane’s wingspan stands at 8.4m and it has a height of 4.5m. Its weight when it’s empty is 6,800kg, going up to 8,500kg when it’s fully loaded. With payload onboard, it can take off with a maximum weight of 14,000 kg. It can reach a maximum speed of 2,204km/h (Mach 2) and it has a service ceiling of 15,240 m. The normal combat radius of this fighting machine is 800km and it’s capable of flying for up to 3200km, if it’s using fuel drop tanks. The price of a JAS 39 Gripen is currently estimated to be somewhere between $40 and $60 million USD per unit. 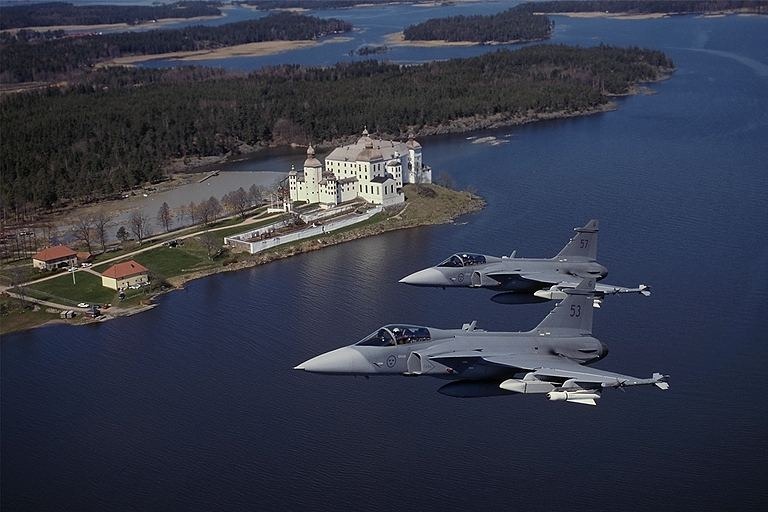 One recent example that fits with the JAS 39 Gripen price presented here is the offer made by the Swedish manufacturer to the Romanian government in 2010, in their bid for the 24 fighter jets that the Eastern European country is looking to acquire. The offer from SAAB was that in exchange for $1.25 billion USD, they will sell 24 Gripen’s, getting the price to $52 million per fighter. A decision hasn’t been made yet in Romania on the fighter jet that will be bought, with second hand Eurofighter Typhoons and F-16’s being the contenders against the Gripen, at the same price. 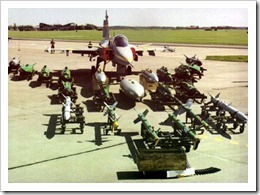 The gun of the Gripen is a 27 mm canon, with 120 rounds, called Mauser BK-27 Revolver. It’s an option that can only be found on the versions with a single seat. As for the hardpoints, there are 8 total, with two of them placed under the plane’s fuselage, and three under each of the wings. They can be used to carry different combinations of armament, including up to 4 rocket pods, between 2 and 6 missiles, including anti-ship versions, as well as 2 to 8 bombs, including dumb models, cluster bombs and laser-guided versions.